We all sleep well and India is up for a swim before breakfast. We then meander to the harbour and trek across to Sunj Beach. It is a beautiful walk across the island, but quite hard work especially with the sun beating down. 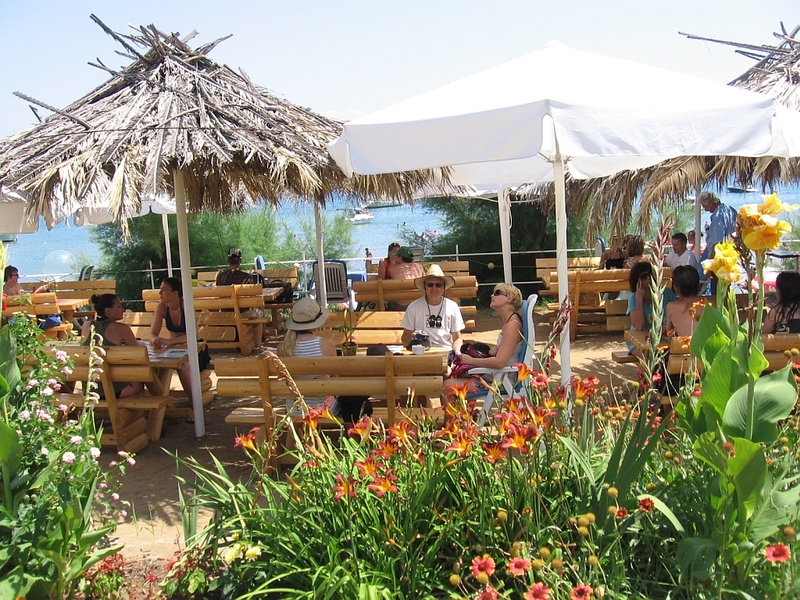 Sunj beach is a beautiful cove with 2 beachside cafes, sun beds for hire. We decide to hire 4 beach beds and a large umbrella, which cost 140 kuna. The beach is lovely and shallow surrounded by pine clad hills and no buildings anywhere in sight. We have lunch at the right hand beach bar and sit looking down at the beach. Burgers were 20 kuna, ham salad, tuna salad  each at 15 kuna and ham and cheese sandwich 18 kuna were enjoyed with 2 sides of fries, 2 pina coladas (not the lovely cream cocktails I was expecting more like shots of Malibu with a tiny splash of mixer), Kev enjoys a chilled beer and Georgia a coke. 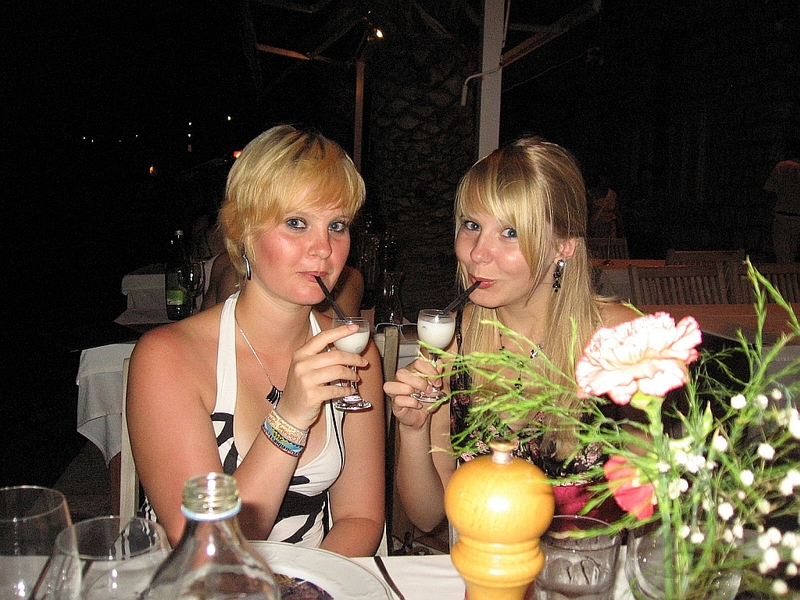 We then have a margarita and a large draught beer  the total comes to 260 kuna including tip. 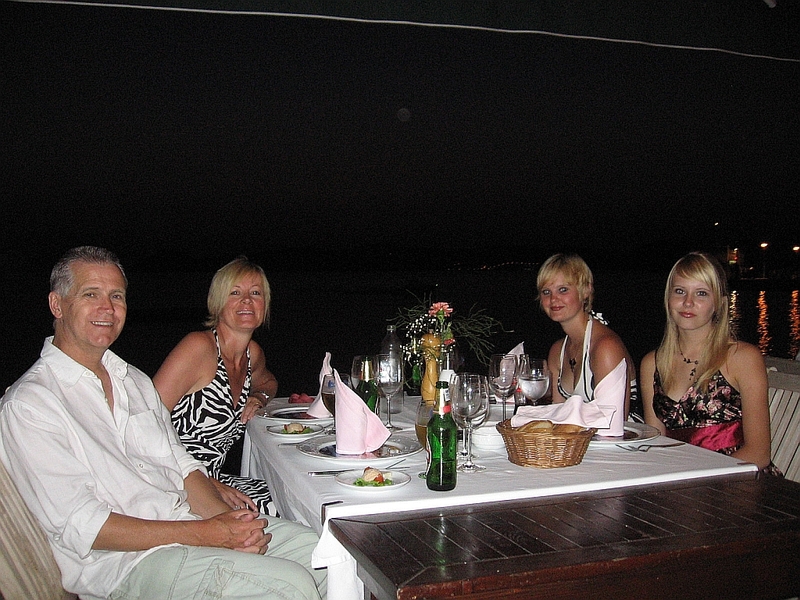 We found this a lovely place to eat with great service and it was wonderful to leave the heat of the beach and sit under the shade just enjoying the views. We go back to our sun beds to chill some more. There are also banana boats, kayaks and a hydro ball thing to hire for those who want to enjoy more active pursuits. As the day progressed lots of yachts moored in the harbour and people swam to shore to enjoy the beauty of the beach and its surroundings. We decide to head back, but this time instead of following the track that the little golf carts take we found the track through the woods, which means that some of the walk home is in the shade, which was a welcome respite from the heat. We relax by the pool with rum and coke while the girls swim and then get ready to go out. 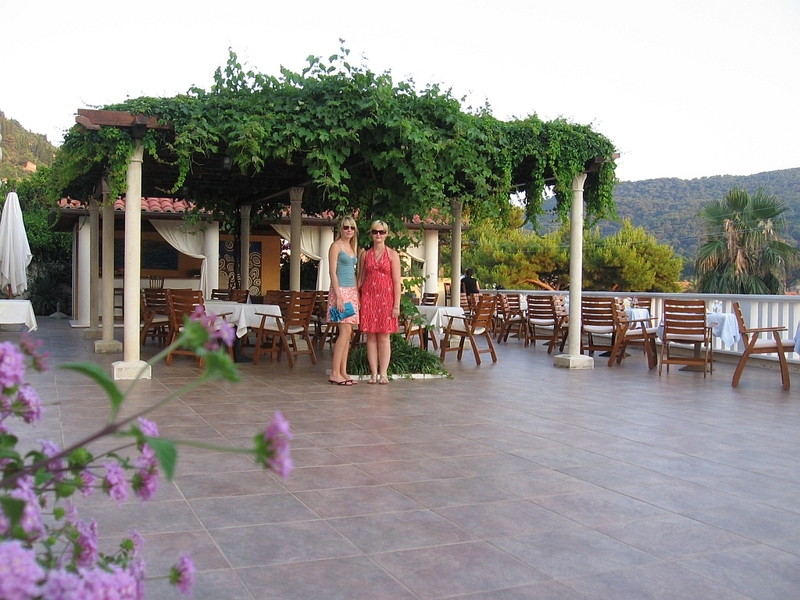 Our plans were to eat in Villa Villina restaurant or on the terrace but the place seems to be overrun with children so we decide that it would be best to give it a miss on this occasion. We find the restaurant Obalsa on the harbour front where we are all given a taster of fish pate and cheese with bread and salad.Georgia then has scampi risotto, India has mushroom and truffle risotto (both of which were starters but were plenty big enough for them), Kev has a shislack  beef, chicken and pork skewer with large chips/roast potatoes, tomato/pepper sauce and roasted vegetables  a real plate full. 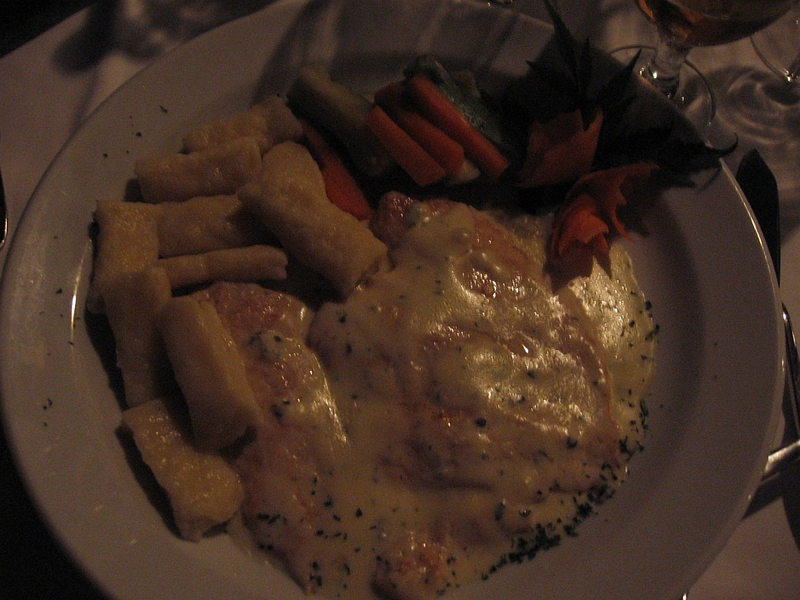 I have chicken in gorgonzola sauce with gnocchi and carrots and courgettes  all very tasty. 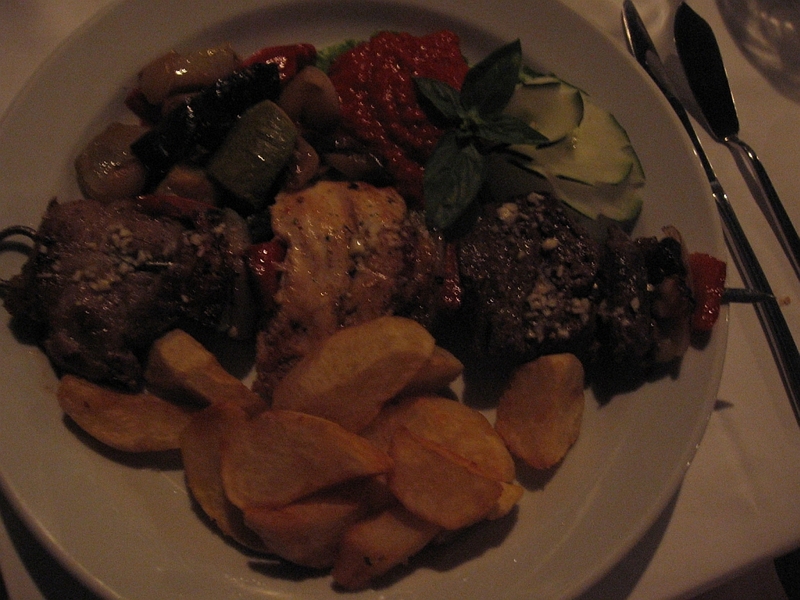 The funny thing we found was that the menus are all very basic so when you order you have no idea of all the lovely things that are included with your choice but we were pleasantly surprised by our meal. 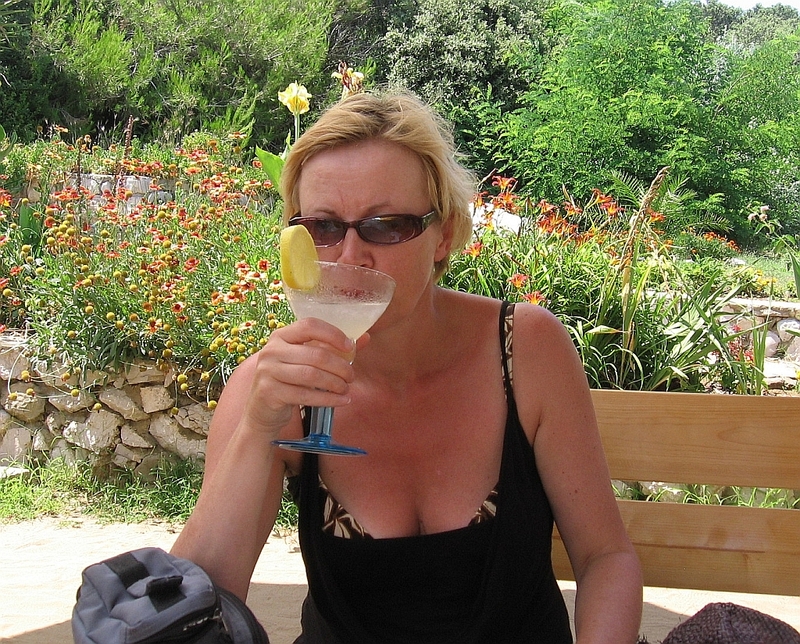 To top it off we all then have a complimentary glass of limoncello mixed with lemon sorbet  which was a nice touch. Total bill 790 kuna including the tip. Wander back to hotel bar but decide to go back and sit by the pool  this was later proven to be a bad move as the many insects we watched flying over the pool decided to enjoy us for their dinner and we all got bitten that night.